A stronger greenback typically makes dollar-priced oil more expensive for consumers using other currencies, denting demand. Weekly rig count data released Friday also showed that US drillers added seven rigs that week, up for the sixth straight week and indicating higher production activity amid an oversaturated market. "Modest short covering has probably given oil some boost," said IG Markets analyst Bernard Aw, adding however, that the bounce was unlikely to last. "Rising US rig additions, low probability of OPEC to revive... freeze output talks, and weakening demand present a great barrier for oil prices to move higher," he told AFP. At around 0630 GMT, US benchmark West Texas Intermediate for delivery in September was up 28 cents to $42.08 and Brent crude for October gained 29 cents to $44.56 a barrel. "Upbeat jobs data from the US showed that the jobs growth was much higher in July than estimates, and helped to push the US dollar [higher], applying pressure on crude prices," said EY Services oil and gas analyst Sanjeev Gupta. 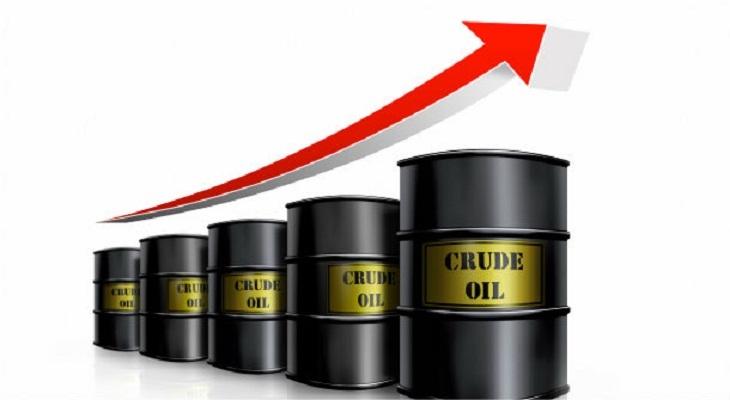 "While markets will continue to look for clues from economic data from China and Eurozone, due to the overhang of high inventory levels and continuing concerns of oversupply, crude prices are likely move in a tight range over the next couple of weeks," Gupta added.